Prepare parents to enter into the liturgical celebration of their child’s baptism with "full conscious and active participation." Baptism Preparation is a pre-requisite for all parents seeking to baptize their children. 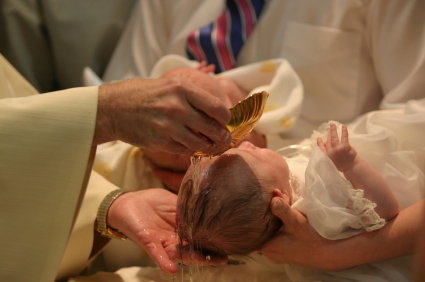 Baptismal Preparation Classes are necessary for all parents wishing to have their child baptized into the Catholic Church. Please contact the parish office to register for the Baptism Preparation Course.